This is the 4th edition of WordPress Weekly. You may be wondering what happened to edition 3 and this post explains that. I actually posted edition 3 on the newly created Facebook Page here on January 28. This week there has been a few interesting plugins and themes released (most free) that may be useful if you are doing internet marketing using WordPress as your platform. WP Alert Plugin is a new plugin designed to grab your visitor’s attention! It allows you to add images, icons, text and links on your pages and posts. Upload your images, set your text add your links links and choose where you want to use it – home page, posts and pages. There are a number of different ways that you can use this plugin and you can’t go wrong at the price (free in the repository). If you scroll down further you will find a similar plugin that is in the premium plugin section. A plugin that interests me but I really don’t know what it does is The Ranking . It appears to be based on a Spanish website called The Ranking which seems a bit like Pinterest but with voting and other features. I can see some possibilites for this plugin but the description and usage page are very light on at this stage. I gave it a whirl on a test site and danged if I could find out what it does (but it’s been that kind of a week!). I’d like to check it out again in the future because,I think, for marketers there could be some cool possibilities. Revenue Share Plugin – A new plugin has been released to make it easy to revenue share adsense with your guest bloggers. You can select an ad spot on your site for the revenue share; currently top, bottom and middle. The drawback is that the plugin appears to be set at 50% of impressions as the amount of revenue share for the author whereas blog webmasters may want to adjust the amount to a different figure. Position One Profiler – yet another *yawn* seo plugin. The plugin sales copy says that it will help give you exactly what Google wants. I find this hard to believe. Only G knows exactly what they want at any particular time 🙂 The plugin is said to “have your finger on the pulse of the top 4 back link data providers online so you never get slapped by Google again” Using the plugin is probably cheaper than using other data analysis services for this information. Although you do not need a subscription to AHREFS, Open Site Explorer, or Majestic to get backlink data if you do have those accounts you will get more information. The plugin comes with training that promises to show you how to pull data from the three services above for free. Position One Profiler promises to “not only allow you to see the types of links but it will also show you the strength of those links with the click of a button”. The point being that it will help you through data analysis and report collection to find high authority sites to use for your sites back links. Notice Box Ads – allows you to put an alert box on your blog where you can display text, ads, interact with your audience, direct people to your squeeze page, affiliate products where ever you like. You can even put in a survey. 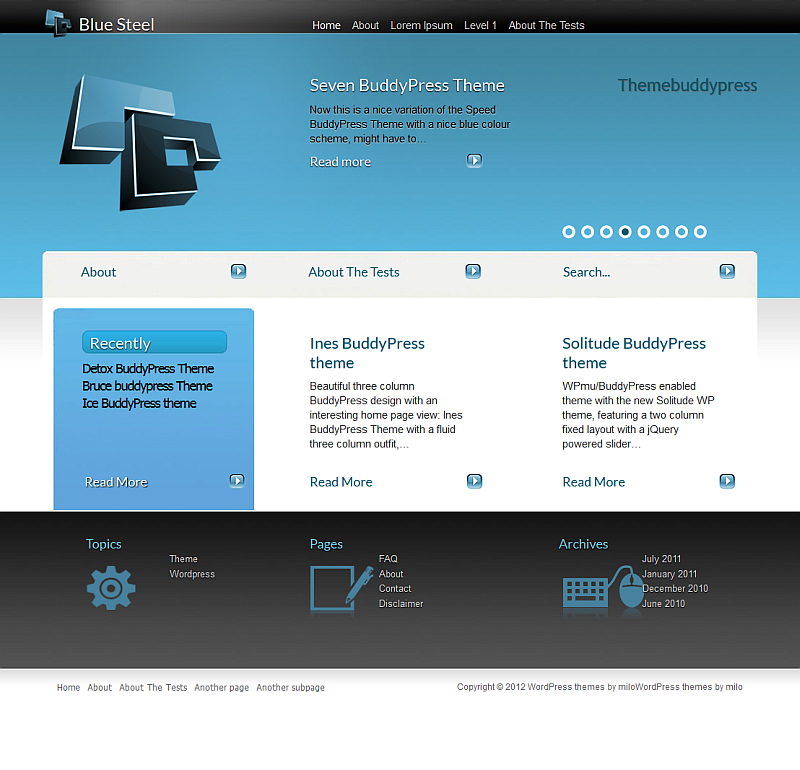 There are some templates included to easily match your theme as well. If you are on a budget, check out the free plugin WP Alert. It has less features but may suit your purpose. WP Boostpress – allows you to choose what posts and pages you would like to display as related content at the bottom of each page. The plugin was primarily designed to boost Amazon affiliate commissions. It is said to do this because the related content will keep visitors on the page longer and reduce bounce rates. KCS WP Plugin – KCS is an abbreviation for Keep the Customer Satisfied. This plugin is designed to ensure that when a customer finds your search listing in the organic results that they are taken to the page most relevant or useful for their search query – rather than the home page. The plugin operates by creating rules but also has some other features like dynamic keyword insertion, split testing and on the fly content substitution. There is a bonus included which is a keyword tracking plugin. It tells you which keywords actually lead to click throughs on your site and on what page/post they land. This can help you customize those pages for visitors and provide them with the content they are searching for. Comments Plus said to increase user engagement and eliminate “spams”. In my opinion, comment luv is a better plugin and has a spam solution built in. WP Hybrid Plugin – allows to build an amazon store quickly with WordPress. I don’t often find WordPress Themes that interest me enough to tell you about. Usually the free themes are just a bit of customised Artisteer and are completely dull. This week I found a few classy designed free themes for you! Yay! The first theme is called Zenith and is based on the Zenith Magazine look. It’s slick and beautiful for a magazine or pictorial based site. The reason that it has such a clean look is that it is designed by Dev Press and, in particular, a designer called Small Potato. If you have been around WorddPress for a while you will remember Small Potato from his website WP Designer (which was sold and taken over by trolls). 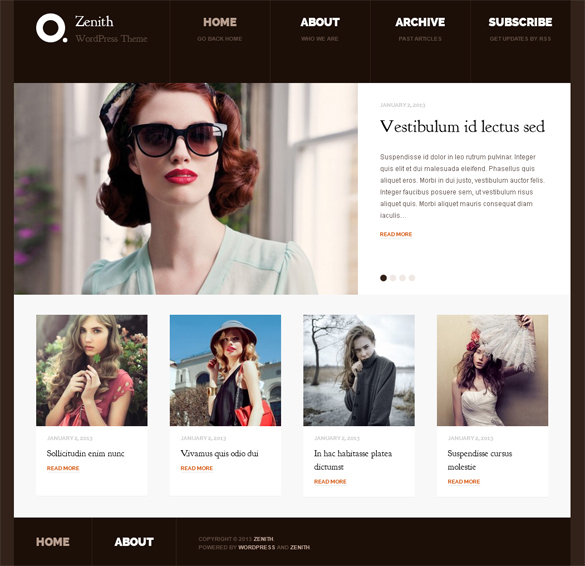 WP Designer offered some beautiful themes (usually free or cheaper than a cup of coffee) as well as excellent tutorials. In fact, the team at Dev Press also have a theme membership club which is (I think) the cheapest WordPress Theme club around. The team at Theme Lab have also put out some free prettiness this week. It’s a coming soon page powered by Mail Chimp. 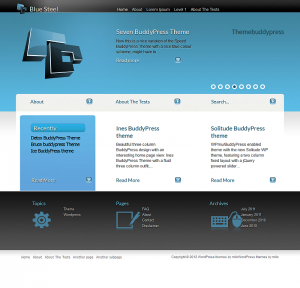 Another nice freebie theme if you are building, say a consultants site and don’t already have a premium theme is WP Blue Steel. It has a nice clean design. There are a number of areas on the theme where you can list your services. There are also some footer widgets for adding in more information. Unlike most free themes it also comes with some clear instructions on how to drive it.